Extras: Required Choose Options Seat Belt Car Restraint - FREE! 5 Stars "the best dog harness around"
Simplicity, ease, comfort, and safety. The adjustable, sturdy, and ergonomic dog control harness by EzyDog is the best dog control harness out there and is a harness that makes walking your dog easy. 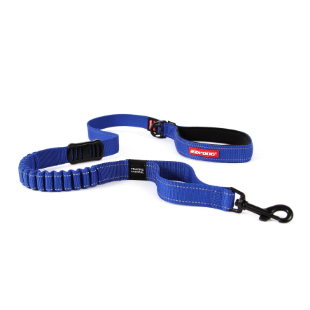 Distributing the load across the chest (rather than across the throat) makes it easier to control and train a tugging dog, and is more comfortable and sturdier than a typical collar! The easy walk dog chest plate harness is more than just a harness for dogs that pull on their leashes. It’s a great fit for every dog! The dog chest plate harness doesn’t rub uncomfortably, thanks to its easy-to-adjust straps. 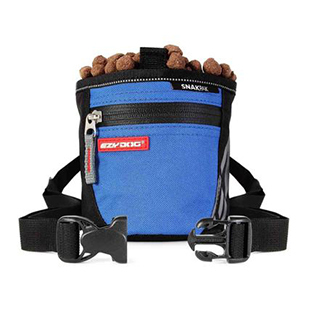 For unbeatable control for small and large dogs, use the EzyDog Chest Plate Dog Harness with a shock-absorbing leash. It’s quick to put on, meaning you can get out and play that much sooner! My little dog is about 15 pounds now, when I first got him he was tiny, so I got the quick fit harness and the soft trainer leash to start out. It worked great while he was little, but as he started getting bigger he started pulling, when he would pull it would make him cough and make weird noises. It got to where I was hesitant about taking him out and if I did I would end up carrying him. So I recently decided to purchase this chest plate harness and a zero shock leash. I have took him about almost every day since we received the new harness and leash and it hasn’t made him cough at all!! My little Gus and I are very pleased with this harness(and the leash). I love ezydog products and will continue to purchase from them as needed. This is our 2nd harness. Great fit. Easy to put on the dog. First one lasted for at least 2 years and for hundreds of walks and hikes. Excellent harness, really helps with a pulling dog. The fitting instructions that are included are very helpful. It's also stylish. Only one drawback, this is our third harness in 2 1/2 years, wished it lasted a little longer. This harness is great for our needs. We have a 101 lb. Mastiff/Corso mix and this works great in having better control of her. It molds perfectly to her body, the straps are easily adjusted and they hold firm. We are satisfied with our purchase, would purchase again and definitely would recommend to others looking for a quality harness. I had been searching for about 4 mos for a harness big enough for my dog. He's 125 lbs with a wide neck. The 2X was perfect. Finally! Unfortunately I am returning both. I have a very rambunctious adopted 9 lb Doxie and was afraid harness couldn’t contain him. And would cut into him. Straps were very thin although seemingly well made. Chest plate came up under his chin enough to choke him when pulling. Buckle snaps were plastic and if one would break, while pulling, the whole harness would come off. Leash similarly thin and too fragile looking for my Barky Sparky!!! This is my second purchase of this item only because it has been used for over 3 years and faded some from cleanings. My lovable lab needed to continue to style! Excellent harness for a chest pull instead of neck. Wonderful! It was recommended by several people on Facebook's "Chihauhau Daily News" and your description said dogs could not back out of it. Our Chi is an escape artist and her collar was causing a cough so I was worried about her trachea. The Chest Plate harness has been the perfect solution. She loves it, we love it and NO MORE COUGHING! Highly recommend!